Visitors to our Website remain anonymous. We do not collect identifying information about visitors to our site (unless you submit information for an online counseling or bankruptcy services -see next section). Feel free to use our website as a resource. IP addresses and/or domain names, date and time and site were accessed, and the city, county and country the web page request is initiated are collected. This information is used to create summary statistics and to determine the level of interest in information available on our site. Information given by the site visitor in a Web form is collected to perform the services offered at the site. An example of such service would be email correspondence. This information is used internally, as appropriate, to handle the sender’s request. It is not disseminated or sold to other organizations. Should you choose to use services of CCCS we collect, use and retain nonpublic personal information about you to help provide services to you and help you achieve your financial goals. 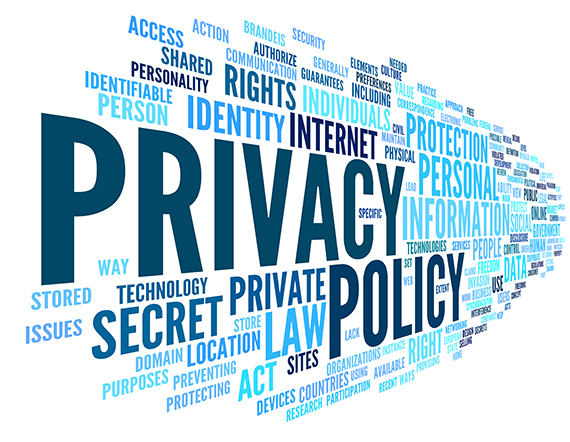 Nonpublic personal information is personally identifiable financial information that we may obtain in connection with providing a product or service. Information we receive from you orally, on applications and other forms, such as name, address, telephone number, social security number, assets, income, expenses, employment information and creditor information. Information about your transactions with us, such as account balances, payment histories, parties to transactions, and credit card usage. We have procedures to help assure that your financial information is accurate, current and complete. Employees’ access is restricted to their need to know such information for business reasons. All employees are trained to respect the security and integrity of our client information. Those who violate our policy will be subject to discipline. We share information with nonaffiliated third parties when they are acting on our behalf or acting jointly with us. Non-financial companies that perform support services for us, such as data technical systems consultants and programmers, check printers, or companies acting on our behalf. Others as permitted or required by law such as credit bureaus, government entities responding to subpoenas and other legal processes, and those with whom you ask us to share information. CCCS does not sell, rent, loan or trade or lease any personal information collected. All personal information is used solely by CCCS, with consumer consent. We maintain physical, electronic and procedural safeguards to help prevent unauthorized access to confidential information about you. We update and test our technology to improve protection of our information about you and to assure the integrity of our information. Each client will be given a unique identifier – either their system generated number or the last 4 digits of their SS number, for purposes of security in checking on further information. The disclosure is otherwise lawfully permitted or required. We do not disclose nonpublic personal information about former clients, except as permitted or required by federal or state law. If you are filing for bankruptcy, the Executive Office of the US Trustees require us to submit some client information to generate a pre-filing or pre-discharge certificate associated with bankruptcy services. Electronic and online communications cannot be guaranteed secure. If the information that you are sending via e-mail is of a confidential nature, please consider using telephone, fax, or mail. To discontinue their relationship with our agency at any time. To use or reject any referrals offered. Step One: Try to resolve the issue with the staff member involved giving him or her specific information about your complaint. Step Three: The supervisor may request a meeting with the client (phone or face-to-face) to seek more information from a staff person. The agency will respond within 15 days. Step Four: If the issue is still unresolved, the client may appeal in writing directly to the Chief Executive Officer/Executive Director. After additional fact finding, this individual will provide a concluding decision to the client within 15 days. Step Five: If the client is still dissatisfied, he/she may submit the issue to the Personnel and Grievance Committee of the Board of Directors for further review and action if deemed necessary. CCCS serves all members of the community. We do not engage in the practices of discrimination in the selection and participation of clients in our programs or services with respect to race, religion, color, gender, national origin, or handicap.